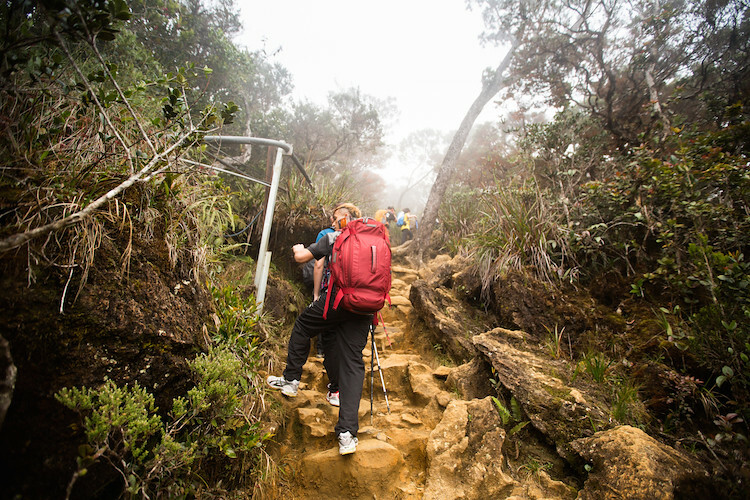 Here’s our honest experience on what to expect as well as some useful tips when climbing Mount Kinabalu. It was really challenging as everything was compressed into 2 short days. From climbing up to the base camp to the summit climb, ferrata and then descending to the bottom. 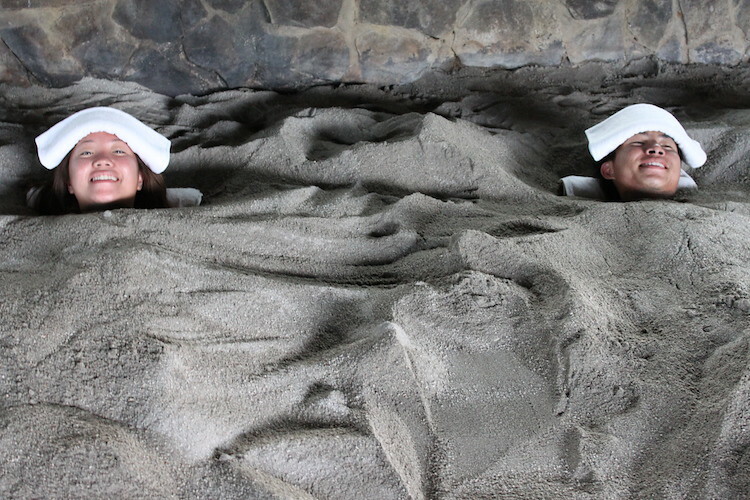 It was certainly a test of our endurance, both physically and mentally. So here’s us, looking all excited and exuberant the day before the climb! Tip: Rent a walking stick! It cost us only RM10 and it was really useful! Definitely helped to take pressure off the knees especially when descending the mountain. 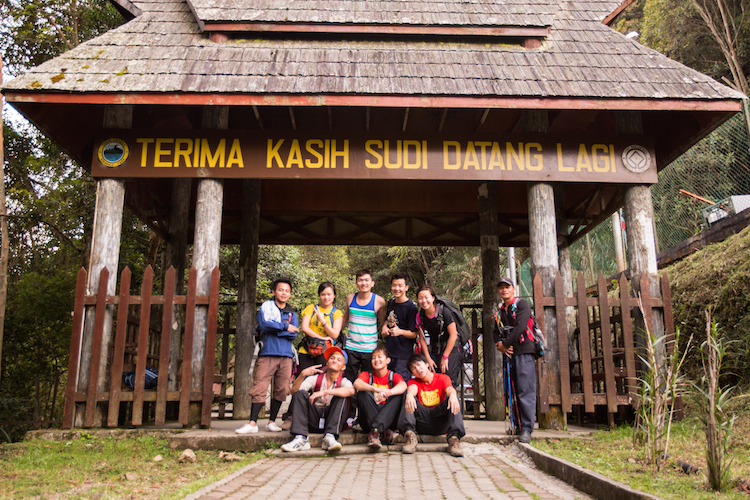 There will be 4 check points in total throughout the entire climb whereby it’s mandatory for every trekker to sign off. 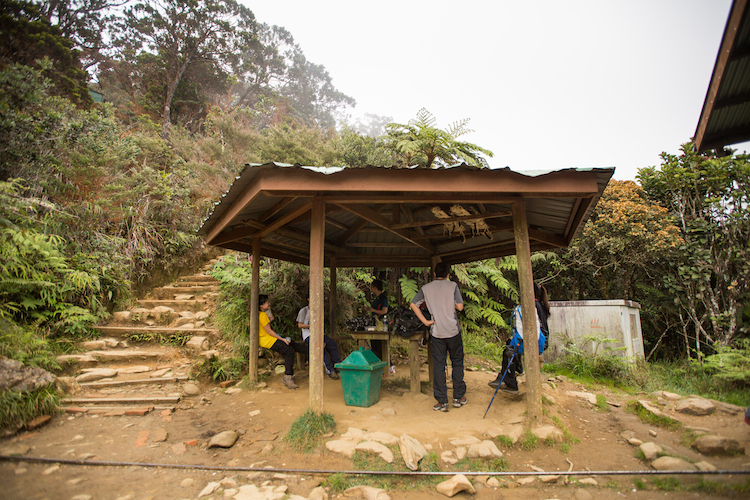 There were huts along the way where we stopped to rest and drink water. These huts soon became my short term goals. I’ll just keep moving, till the next hut is in sight. Tip: Do not rest any longer than 5 minutes. As once your body cools down, you’ll use up more energy to regain the momentum again. “Almost there!” We just kept telling ourselves that. 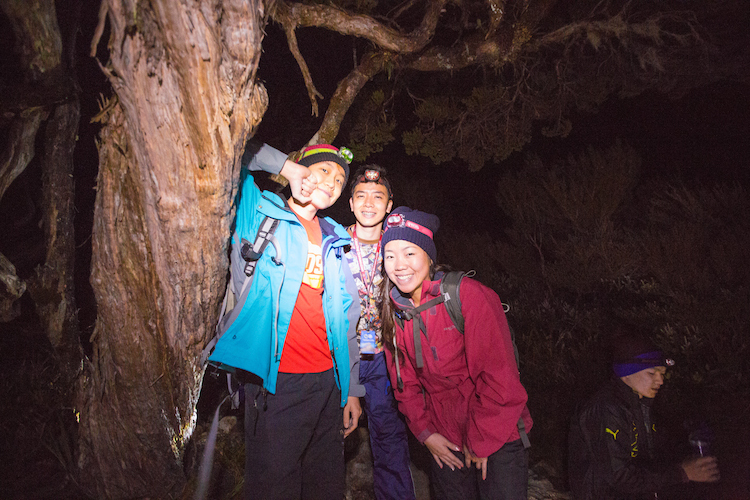 And finally after almost 6 hours of non-stop climbing, we reached the base camp of Mt Kinabalu! 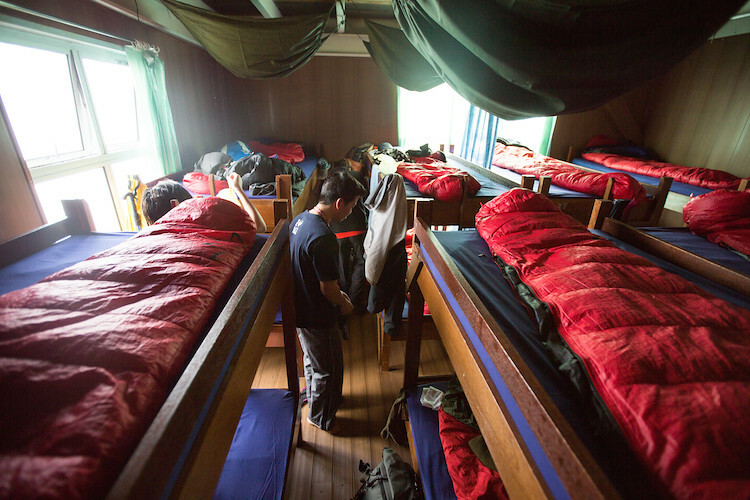 As we were doing the ferrata, we stayed at the Pendant Hut. 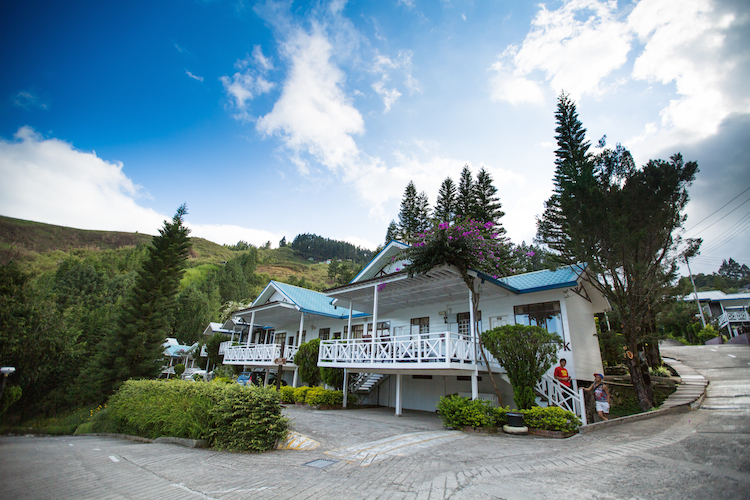 The rest of the trekkers stayed at a different lodge. 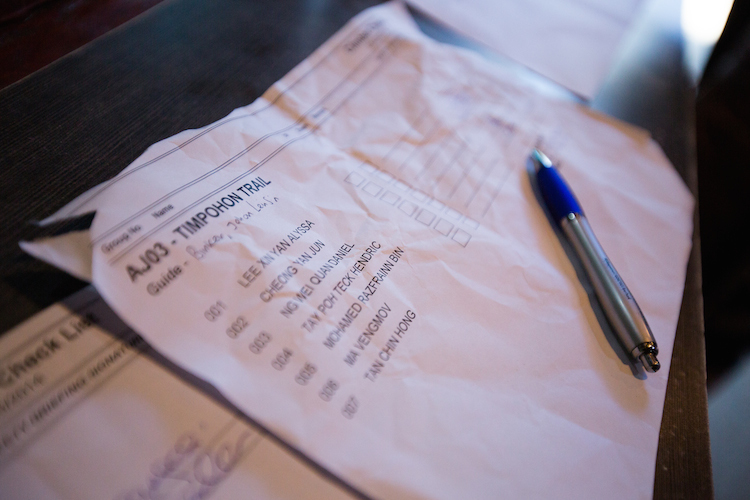 We also had to reach by 3pm as there was a compulsory briefing on the ferrata. We started the trek at around 8am, and reached the hut at 2pm. Surprisingly though there was hot shower, despite other reviews which stated that there was no hot waters. Perhaps it was only available at Pendant Hut where we stayed at. Buffet dinner was provided as part of the package as well. The spread was really good! Didn’t take any photos of the food as we were starving! Soon it was time for us to get some sleep, at around 8pm. 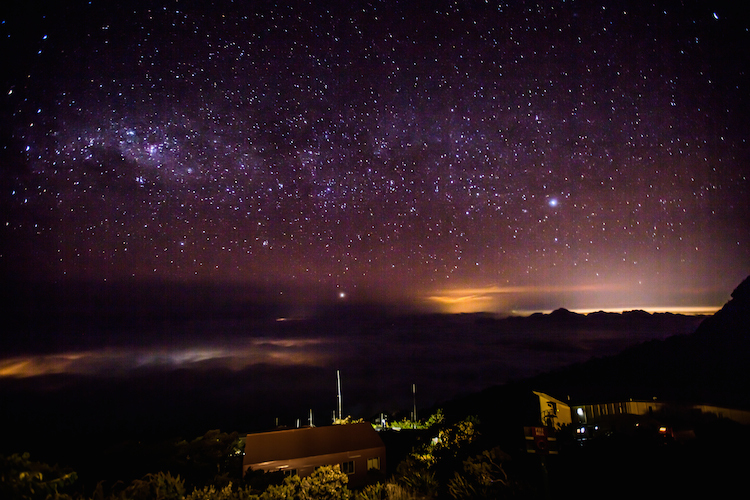 Reason being we had to wake up again at 1.30am for the summit climb. 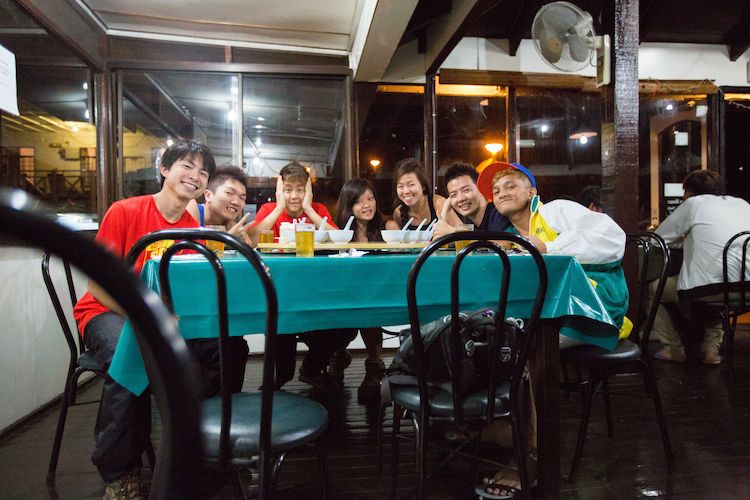 Supper was served at 1.30am and we had to set off for the summit climb at 2.30am. 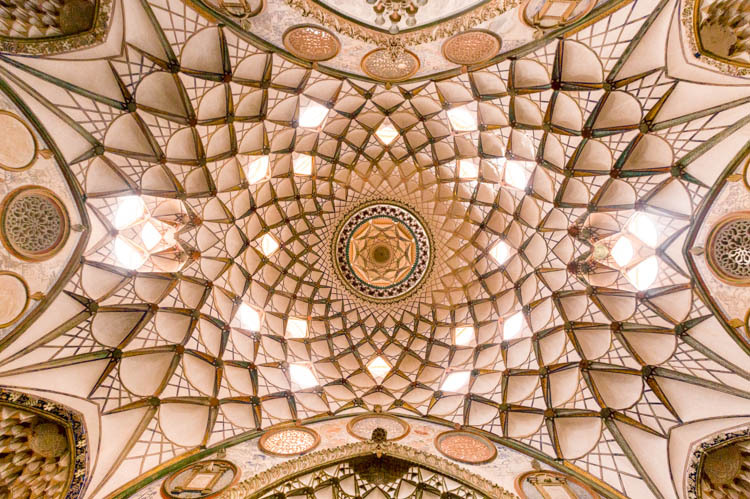 Tip: Bring along a day pack for this trip. It’ll come in handy for your summit climb where you’ll only need to pack your essentials such as warm clothing, sunblock, water, headlights, gloves, etc. You can leave the rest of your stuff at the base camp. Do note that headlight is compulsory for the summit climb. 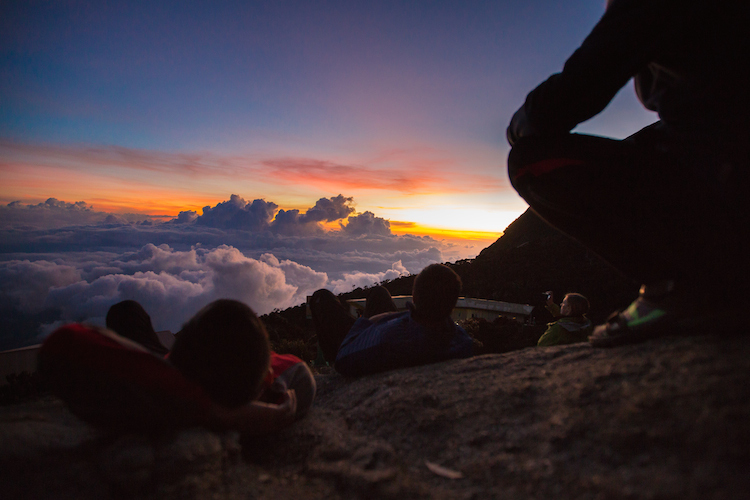 Read here for our top 5 things you must bring to climb Mount Kinabalu! 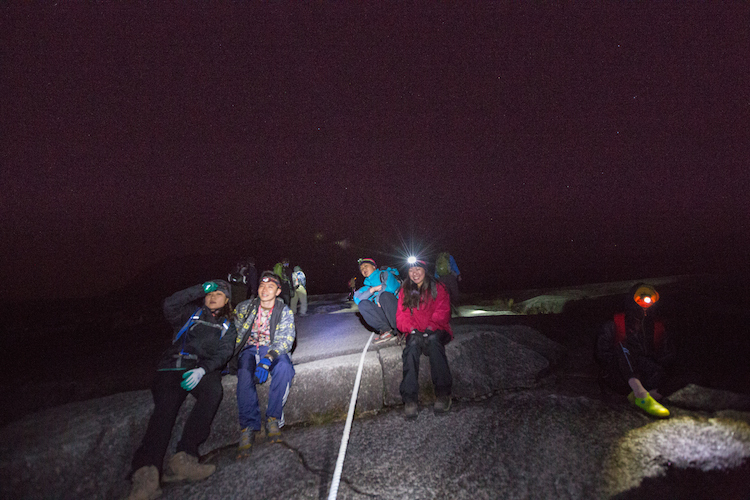 It was really cold at night and we were all decked in full winter wear at the start! I wore my dry fit top, cotton cardigan, down jacket and the waterproof windbreaker. I had a fleece hat on and gloves too! It was less than 5 degree celsius! Tip: Practise layering! You’ll start removing layers by layers as you climb. When you’re nearing the summit, it’ll get really cold again and that’s when you’ll have to put back on your layers again. 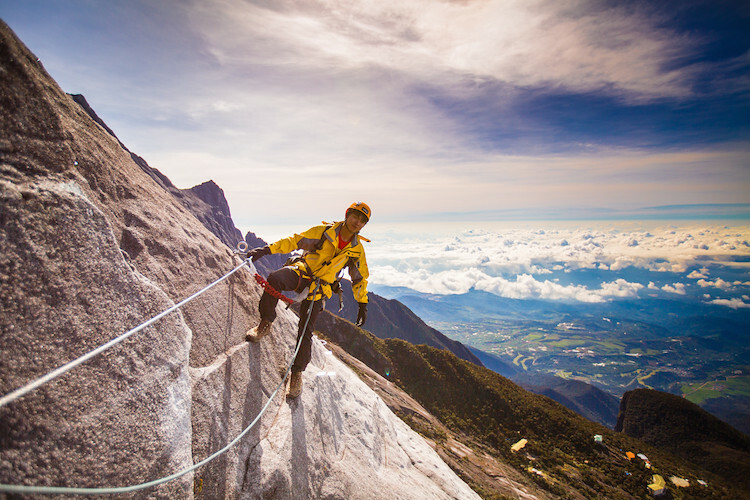 Tip: Waterproof gloves with good grip would really come in handy when climbing those ropes to get to the summit. 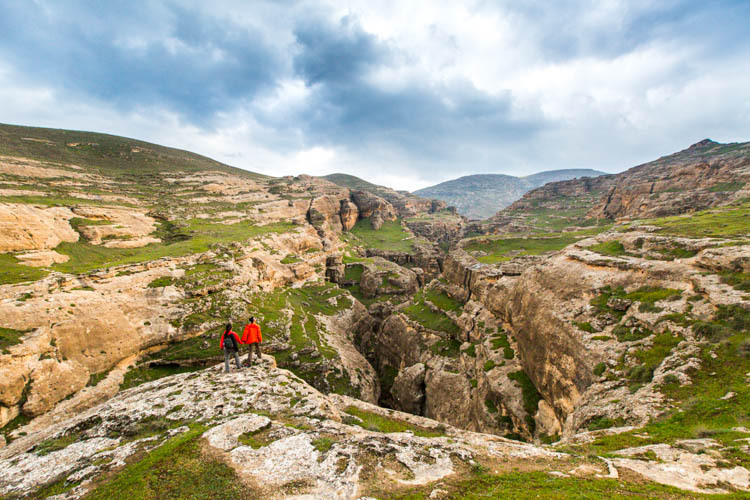 We were blessed with good weather and it didn’t rain when we were climbing. But usually it’s almost always raining during the summit climb on other days! And finally…..we did it! 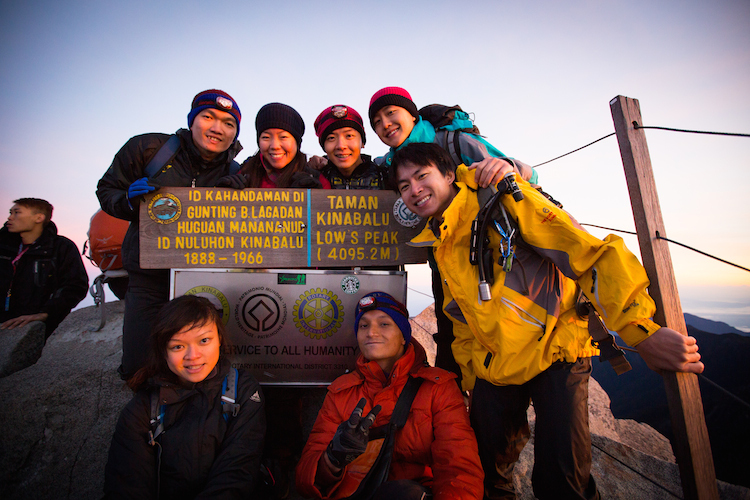 We reached the summit at around 5.45am and were blessed with clear skies to witness the most beautiful sunrise ever. It was a moment between us and nature, a moment that we’ll always remember for as long as we live. 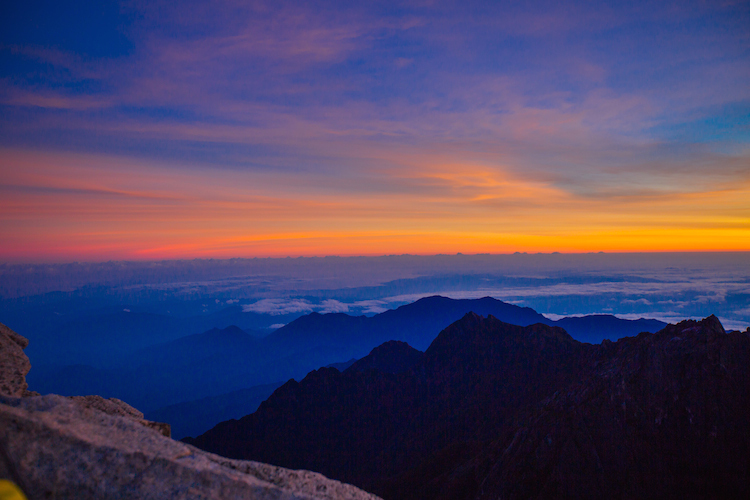 We couldn’t stay too long to enjoy the sunrise as we had to reach the start point of the ferrata by 7.30am sharp. 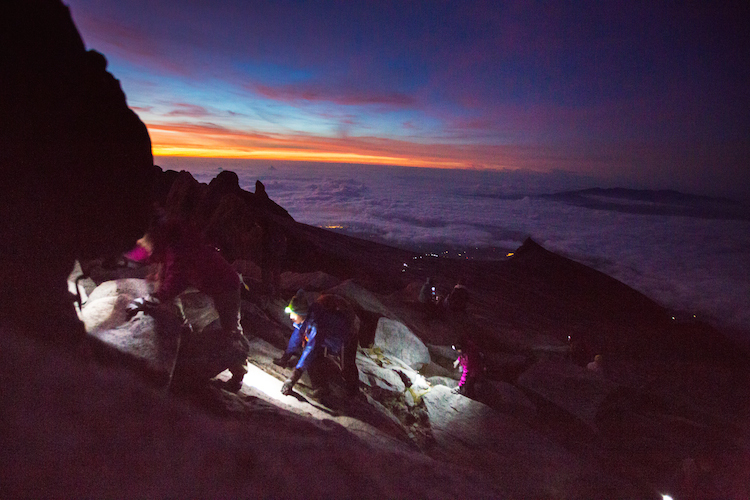 Read about our experience on climbing Mount Kinabalu via Ferrata Route! Here’s the aftermath of our Mt K experience! Don’t be fooled by the smiles on our faces! Though we were feeling really accomplished, we were also extremely tired and our legs felt like they were gonna break any moment! We didn’t take much photos of our descend as we were too focused on getting down as fast as we can to get over and done with this climb. We finally reached the bottom at around 5.30pm. 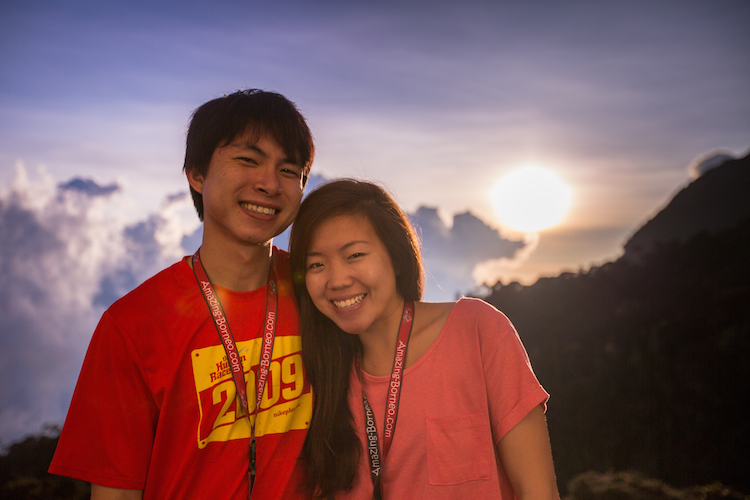 For us, we booked our package via Amazing Borneo and chose the 3D2N Mount Kinabalu Climb With Ferrata & Highland Resort Star (Low’s Peak Circuit). 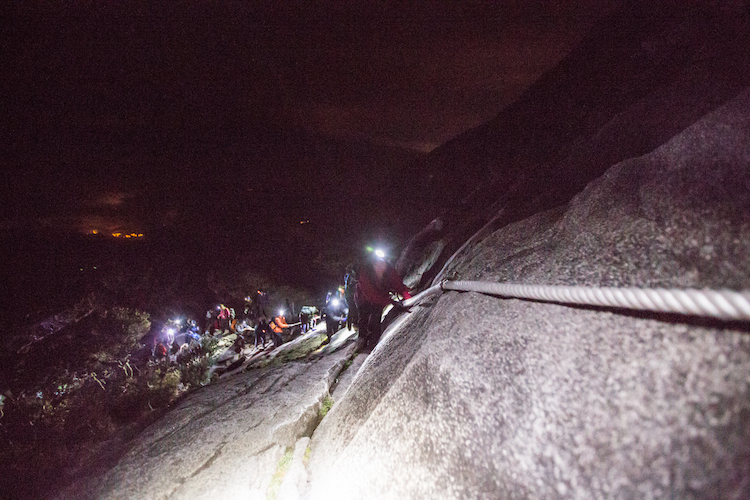 Check out our experience on the Ferrata Low’s Peak Circuit where we abseiled down vertical cliff faces, crossed the world’s highest suspension bridge and more! 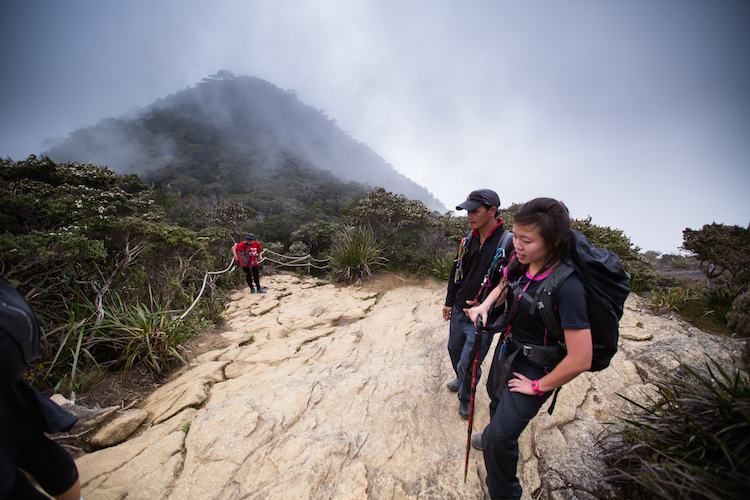 If you’re looking for an alternative and even more challenging mountain to climb in Kota Kinabalu, why not try Mt Trusmadi also in Sabah! 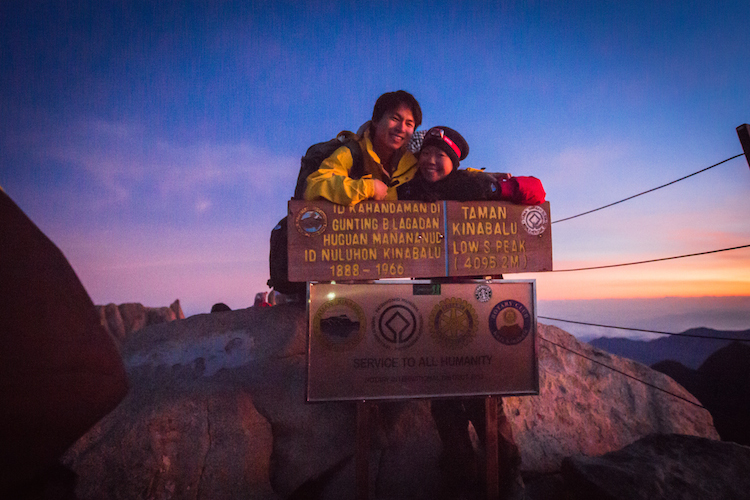 We both felt that Mt Trusmadi was more challenging than Mt Kinabalu in terms of its terrain, but very fun! 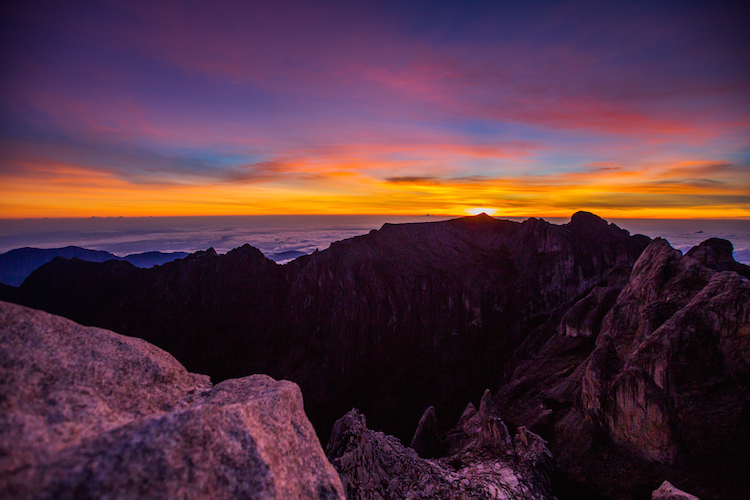 Also, check out our experience on the second highest volcanic peak of Indonesia – Mount Rinjani! 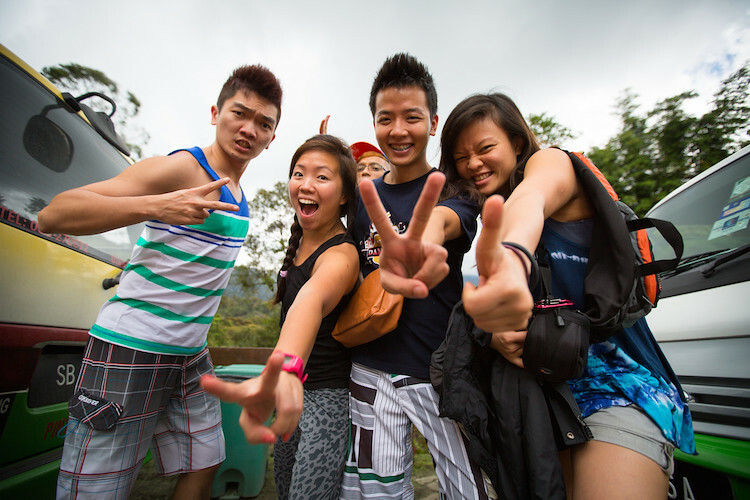 Travelling is the best education! 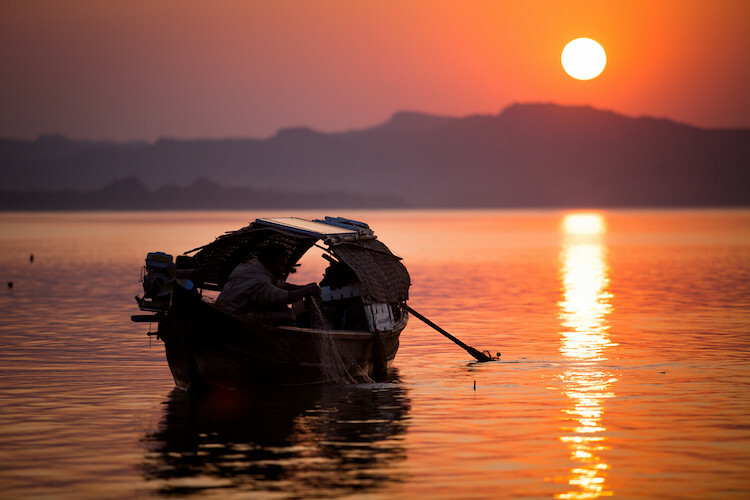 Here are our 8 life lessons learnt from travelling.